Welcome to the New Product Blog Hop! At the bottom of my post there will be links to other blogs that are participating, be sure to check them all out! 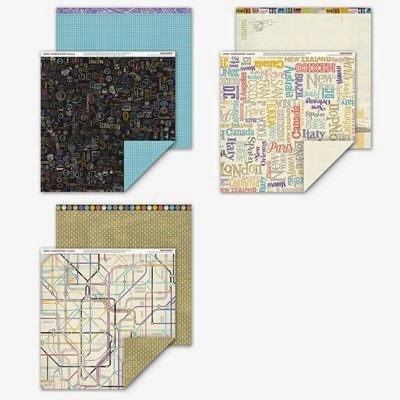 Wanderful is the cutest travel paper, but isn't just for travel! The paper in the background of my card could be used for anything as well as the paper on the back of the subway page! 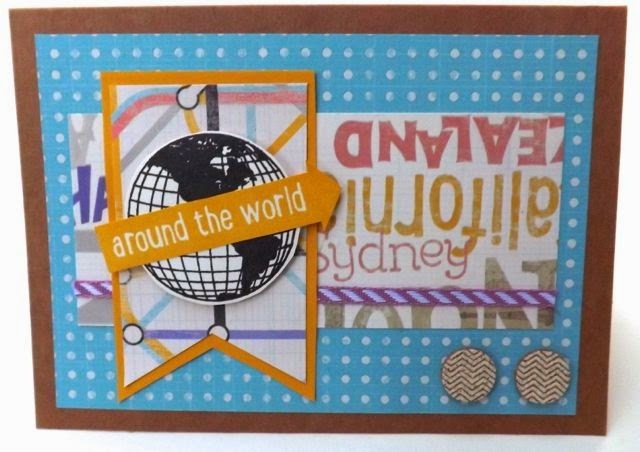 Around the world seemed like a perfect sentiment to go with the word paper that has places like California, New Zealand, and Sydney on it! The stamp of the world seem to be the logical backdrop for my sentiment! 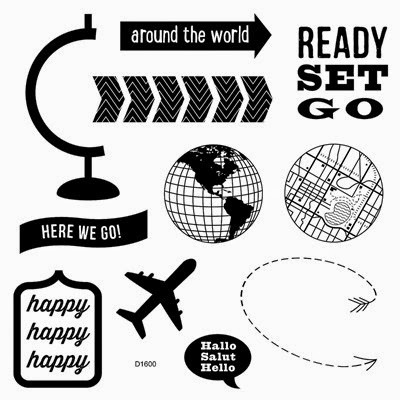 Both came from the Here We Go stamp set that is perfect for travel and also has thing that could be used on any page like the chevrons and happy, happy, happy sentiment! To finish off the card I used the crop shapes from the Pathfinding Assortment and Thistle Diagonal Striped Ribbon! Lots of things that seem to be paper pack specific can be used on many projects! Just like I did with the Pathfinding Assortment with Wanderful paper! 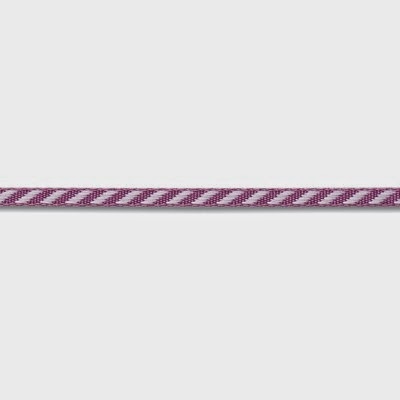 The Thistle Diagonal Striped Ribbon is such a wonderful size to work with and also comes in Slate! 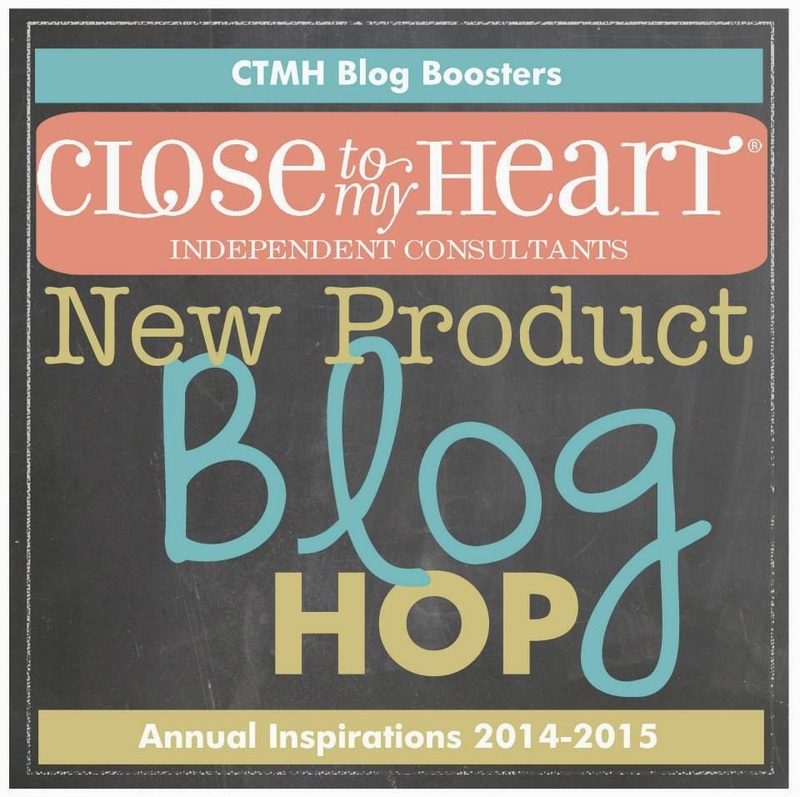 Be sure to check out the other participants in the New Product Blog Hop! We are adding new post every day! I love to travel so I"m sure I'll be using the paper. You have created a great travel card and kept it simple yet delightful. Thanks for sharing. I love the stamp set! it's perfect with the wanderful paper! What a fun card Linda!! I haven't even played with Wanderful yet! 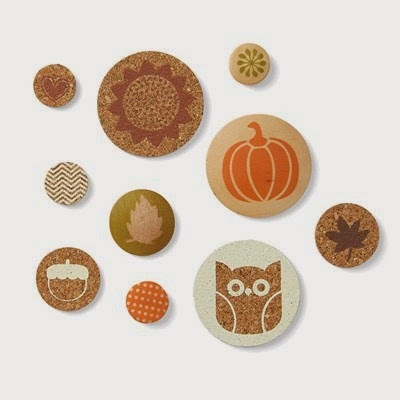 This is the first I've seen anything made from the Wanderful paper pack - it's lovely! I love how you used the papers together. Back to School with Chalk It Up!